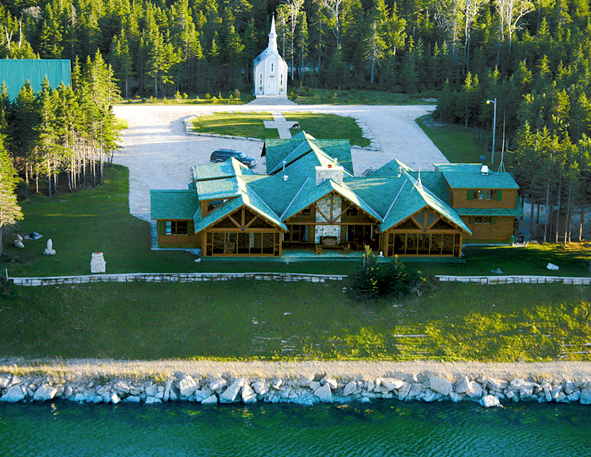 Situated on the north-eastern coast of Anticosti island and nestled away on the mouth of our private Atlantic salmon river, is the fabulous and unique Safari Lodge. 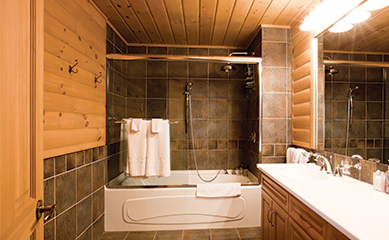 Intimacy and outstanding service are hallmarks of this premier lodge. Featuring a breathtaking view of the Anticosti coast line, incredible sunsets, and first class service, the lodge is second to none. Amenities include 10 luxurious rooms in either double or single occupancy, a massive central stone fireplace with cozy living area, appointed dining room with French cuisine, pool room, and business room. 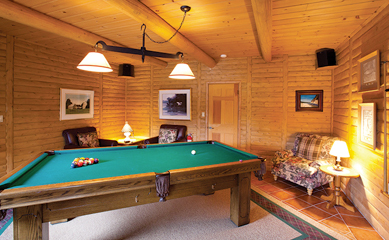 Safari Lodge is much more than just a home away from home. 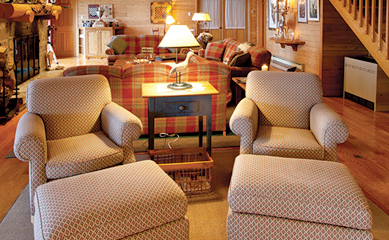 If you need additional accommodations we also have a cozy cottage situated right near the lodge for special groups. A range of relaxation or business oriented spaces also offer corporate or private groups avery pampered stay on the island. The friendly Safari team whether dedicated to the lodge accommodations or outdoor activity services will cater to all of your required needs. Hosting a meeting? you will find a state of the art meeting facility adjacent to the lodge complete with a board room, internet connections and audiovisual equipment.